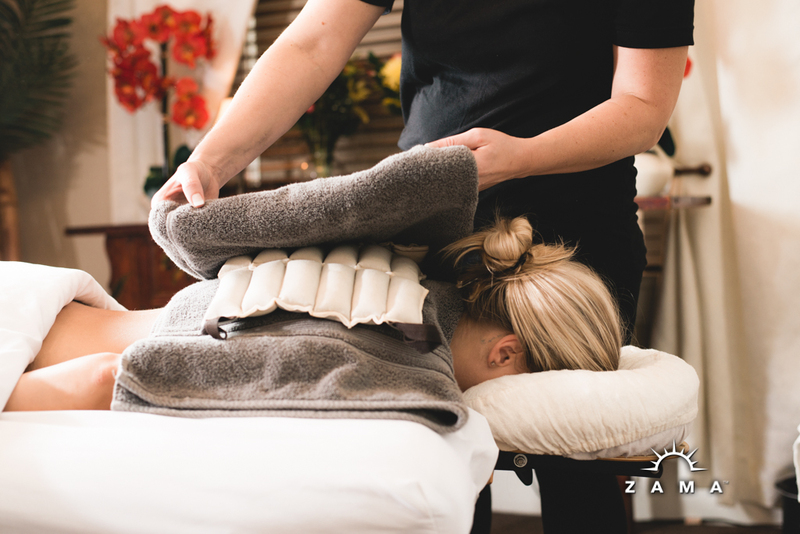 Moist Heat Therapy uses the penetrating moist heat of steam packs warm you up instantly and relax your muscle tissue to increase the benefits of a deep tissue massage or any massage style. Long lasting moist heat relieves chronic pain, muscle spasms, sprains and tight muscle tissue. This moist heat increases blood flow helping to decrease pain and stimulate healing.